This is post is sponsored by Crest. All opinions are my own. Head to Walgreens this week and get stocked on Crest Toothpaste with a new Register Reward deal and a $2 digital coupon. 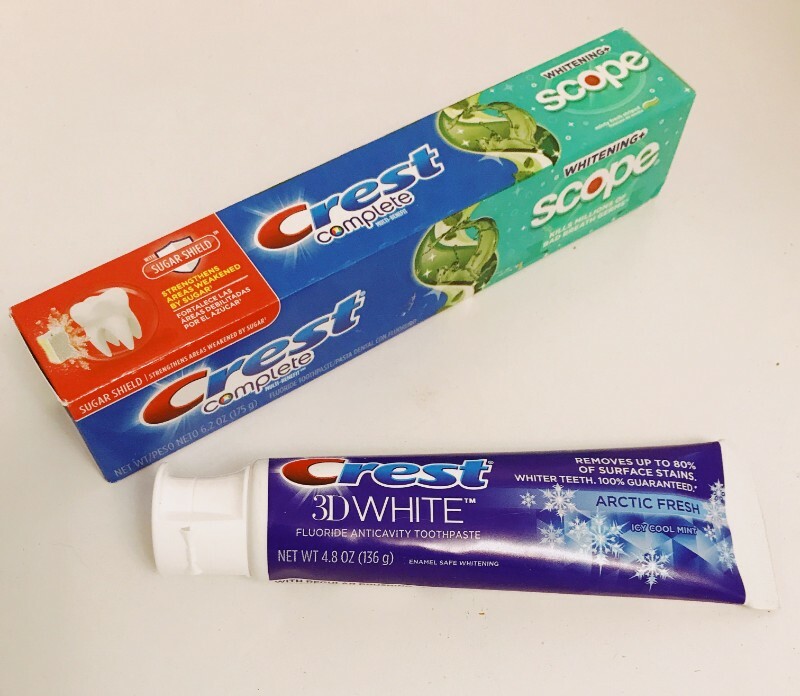 When you buy (3) participating Crest Toothpastes, you’ll get a $3 reward back at checkout. Plus Crest is on sale for $2.99! Once you pair in coupons you’ll get them as low as 65¢ each. Crest Complete Whitening Plus Scope – Get the whitening power of Crest Toothpaste plus the freshening of Scope mouthwash all in one. It will fight cavities, prevent tartar and help remove surface stains. Crest 3D White Arctic Fresh – It whitens your teeth by removing up to 80% of surface stains and protects against future stains. 3D White fluoride toothpaste also strengthens your tooth enamel and helps protect against cavities. We’ve seen a number of Crest deals this month and shared a few different Walgreens deals. Using both of these whitening toothpastes all month has made our smiles a little brighter already. The biggest difference has been in morning breath though… it really does help you have fresher breath longer! Go ahead and load the $2 off coupon and head in before the sale ends this Saturday (3/30).